One bag...Two looks! 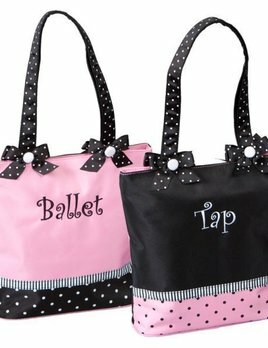 Embroidered "Ballet" theme on one side and "Tap" on the other! Perfect for your beginning "combo class" dancer. Features a full length top zipper, two inside pockets and personal I.D. tag.